Do you find yourself waking up in the morning, tiptoeing to your bathroom and moaning about how you'd love a space where you can actually feel rejuvenated to face the oncoming day? Or do you find yourself dreading using it before going to bed because it is miserably small and completely bereft of style? More than anything else, do you find yourself thumbing through magazines or spending time in the bathroom, wondering, 'how can I get a special bathroom even if it is super small?' Well, then you've come to the right place! Here we present a list of unbeatable tips for tiny bathrooms. Small space is not a problem, as this article will show you ways to go big on the style and storage quotient. Read on to know more! The sink is one of the essential items in the bathroom. It is where you head first thing in the morning and last thing before bedtime. So make sure it works for you and your space. 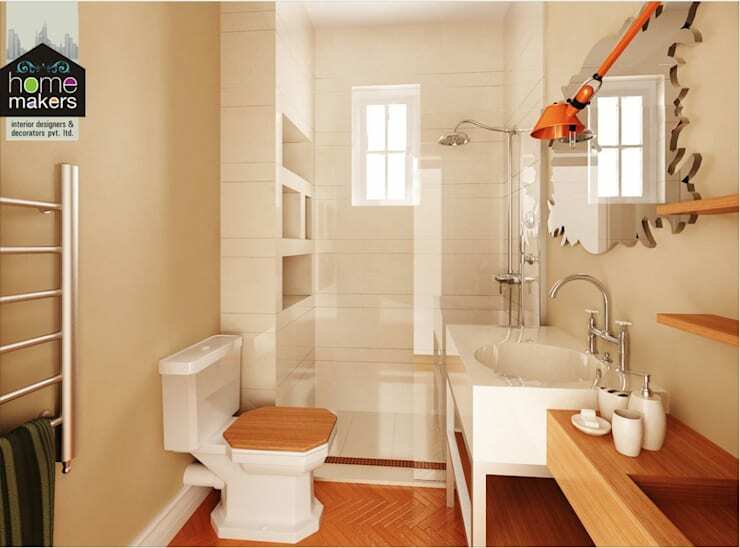 A tiny bathroom may demand a wall-hung sink instead of a big and old one that takes up precious floor space. The wall-mounted sink is a sleek and space-saving option that is big on style. Options in wood with a stone sink on top are apt for a small space. That’s right! Cover one wall with mirrors and watch your space literally double. The play of mirrors is not just a design element that makes for elegant environs, but also a design technique that can be used to maximise and elongate the look and feel of a space, when used in the right way. So get those mirrors to do the talking in your tiny bathroom. But while you're at it, here is our disclaimer: do not overdo it. Try to stick to one wall, rather than multiple walls. 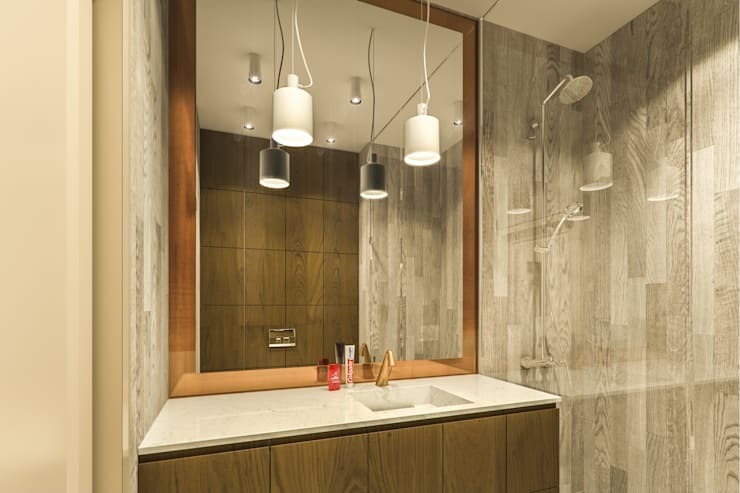 Also, if you are going with this feature, then the mirror over your sink needs to be a compact and the preferably square piece that will come in a sleek frame so that the look is distinctly different and does not look like an overkill. There is an undeniable magic in soft hues. Not only do they brighten up a space, but they also visually open it up. So if you have a tiny bathroom, you may want to go in for light coloured walls. The light shades will not only give it a freshness that is unmatched but will also lead to an expansive feel once you are in the room, making it more open and seemingly well-lit than before. White walls, especially, are the best option, with beige and grey coming in a close second. Yet, do not be afraid to experiment with colours like soft pastels – peach, green, yellow, blue and more. 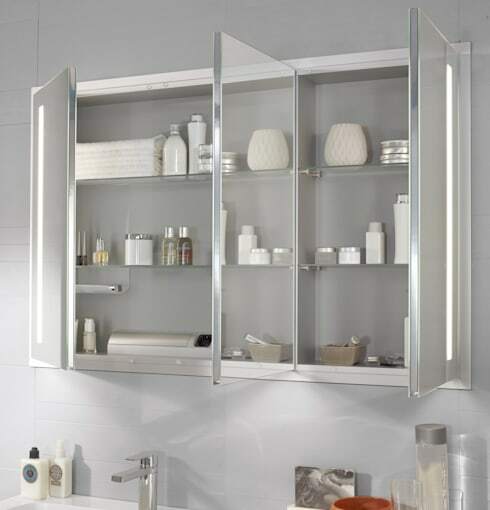 A mirrored cabinet can actually double as storage for your everyday essentials as well as your medicines and other items. 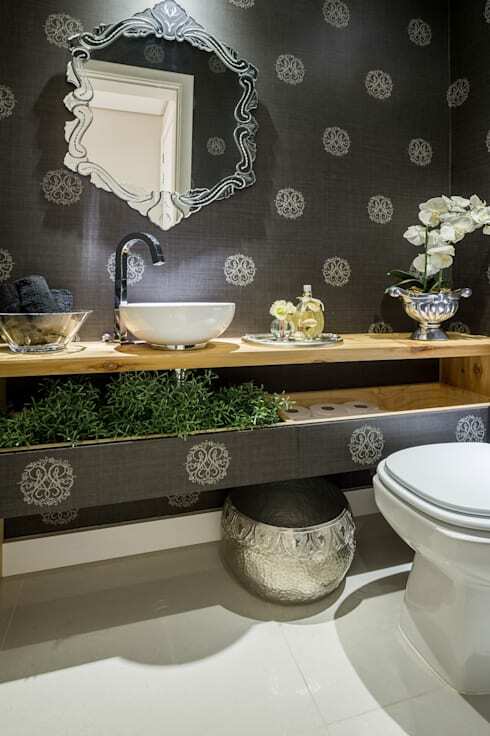 Storage behind the mirrors is a good idea in a tiny bathroom! A pretty mirror can actually be mounted on the door of a slim cabinet above the sink for easy access as well as overall style. This reduces the need for extra counter space to hold all your things. There are many ways to find storage even in a tiny bathroom. One idea is to hang a pretty picture on a cabinet door on another wall for some style and storage. A wall-mounted rack of wooden slats could be used as a sleek towel holder, thus eliminating the need for a stand, stool or even bulky shelves. This creative idea is the brainchild of Germany-based designers SANIPA Badmobel Treuchtlingen GMBH. 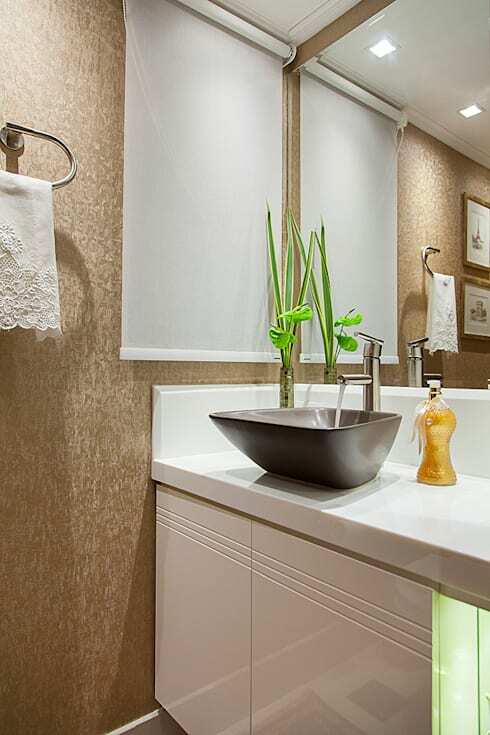 Make a sparkling style statement in your tiny bathroom with a panel of shiny tiles. 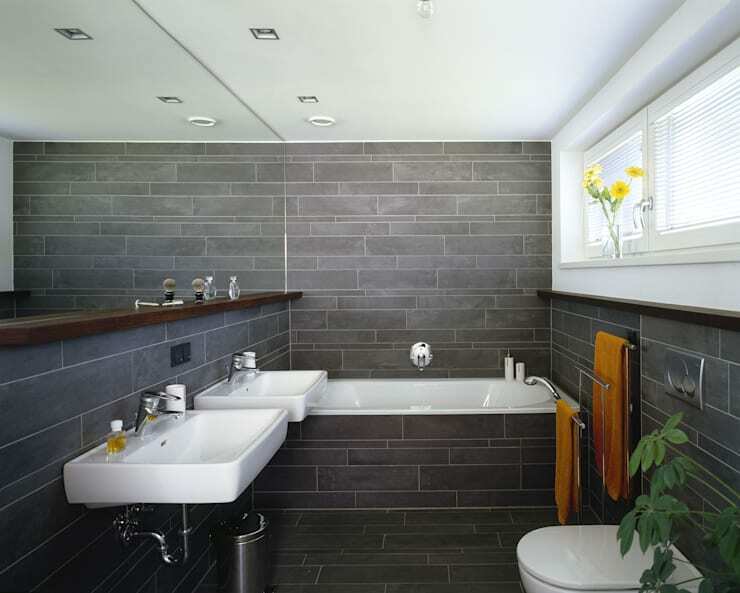 These tiles can take the focus off the size of the bathroom and render an almost mirror-like statement on the walls. Shiny tiles are also the perfect combination with light coloured walls – an option we discussed above. These tiles add to the overall charm of the space beside giving it an essential touch of luxury. The mirrored effect of shiny tiles also makes the bathroom look larger than it actually it is. Speaking of stone sinks and wooden cabinets, one cannot forget the value of earthy design elements. Not only do these elements ground a space, but they also offer a visually luxurious look to the space in question. So add something organic like a plant or seashells or even pebbles in a glass tray on your counter top, or under the sink to make it seem more luxurious. Going organic has its advantages and style is one of the biggest factors that make it a preferred choice to up the prettiness quotient of a space. If you're looking for high-end and complicated gadgetry in your shower cubicle or on your countertop, you may want to think twice. A tiny bathroom needs a sleek panel with minimal faucets to make the space seem more open and less overwhelming. So avoid crowding your space with faucets. In fact, the counter and sink can have a single faucet that turns towards hot or cold in one swift motion, rather than separate faucets for separate temperatures. So think about the number of faucets you can have versus the number of faucets you actually need! A tiny bathroom can be big on style provided you plan your space, resources, and design elements well. Make smart choices that will open up your space and add charming touches that will make it an inviting space rather than making you dread every visit to the bathroom. And remember, this is the space where you rejuvenate, relax and recharge – morning, noon and night. So ensure that you make the most of it by paying attention to its size and what would look best in the given size in terms of style and a sense of luxury! 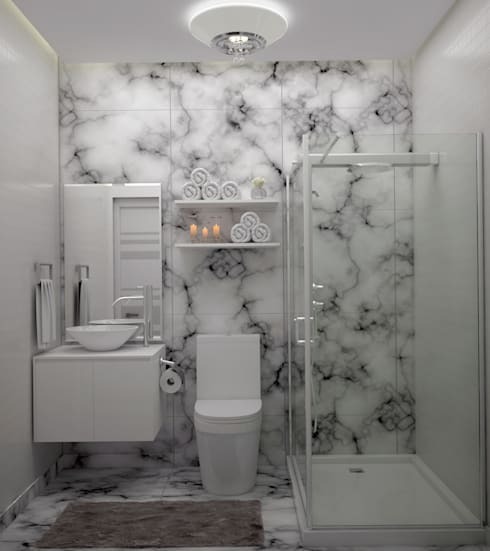 Check out homify's Tips to maximise your small bathroom for further pearls of wisdom. Which of these ideas will you try? How do you manage your small home spaces? Let us know in the comments!